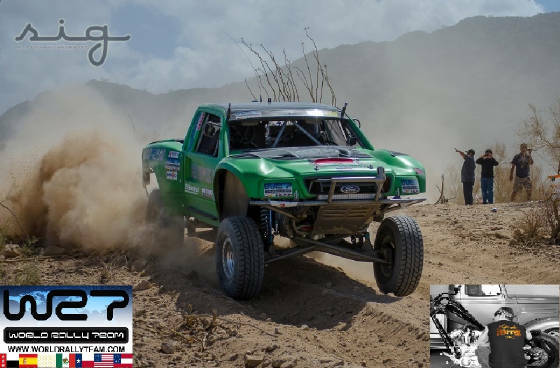 José Manuel Ponce (born in Morelia, Michoacan, México) is the first and only Mexican American race car driver that races extreme rock crawling, desert rock racing, drag racing, plus rally in the USA, México, Venezuela, Germany and Norway. He is part Purhépecha Indian (Tarascan Indian). Ponce currently owns and is the main driver for the World Rally Team who represent the folks of city of Guanajuato, GTO Mexico and Norway at world class events such as the WRC, King of the Hammers, GORM 24 Hour Race, and the SCORE BAJA 250. His determined struggle as a true minority underdog racer has helped him gain many fans, friends and admirers among his fellow racers as well as making him a unique competitor. Ponce is also the founder of CHARITY RACER, a non-profit organization racing for different charities such as the Lopez Foundation. 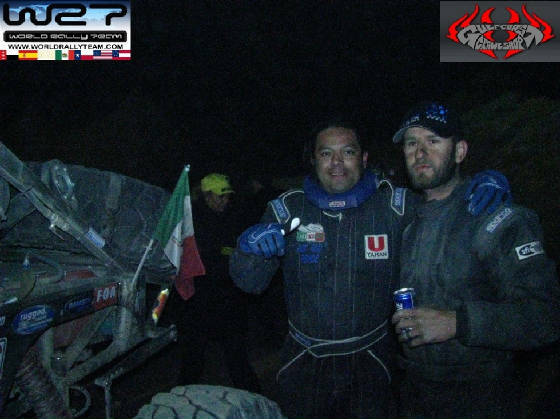 2002 ° Placed 5th at the Ramsey Off Road Challenge in Morelia, Michoacan Mexico. 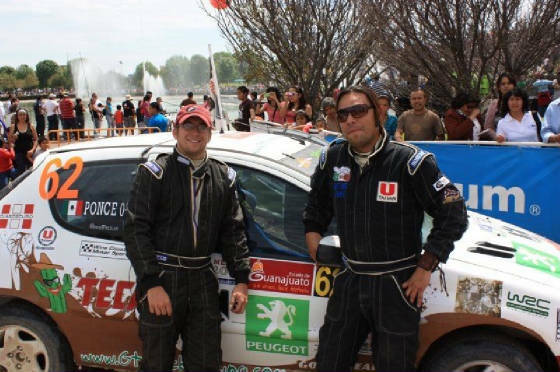 2009 ° First Mexican to ever participate in the VENEZUELA Extreme Rally Fun Race. Managed to navigate Team Roberti to a 16th spot of out 200 teams. Was interviewed by 2 TV motor sports shows and 2 popular magazines viewed by many in South America. 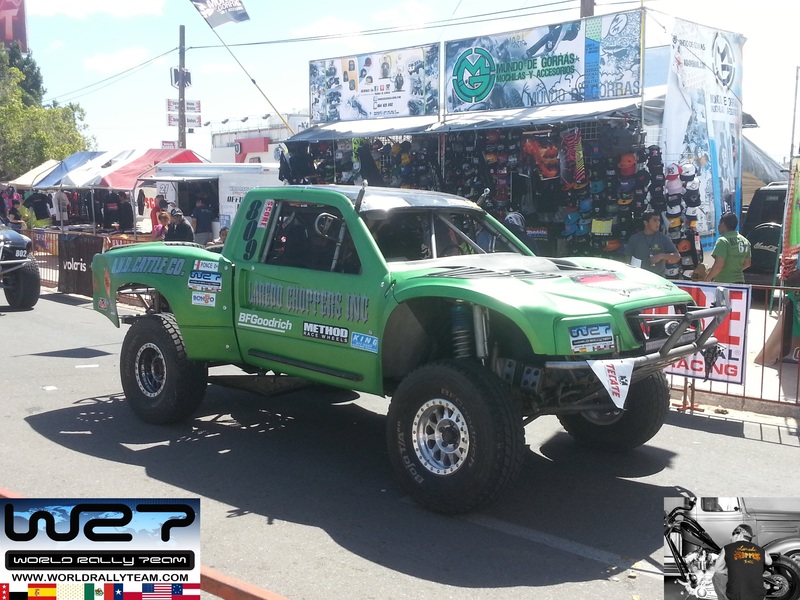 2006 ° First Mexican to compete in the UROC® Super Crawl rock crawling world championship. Phoenix, Az USA. Placed 17th in our class. 42 teams in total from USA, Canada, Japan and Mexico. The event was featured on CRAWL MAGAZINE Dec 2006. 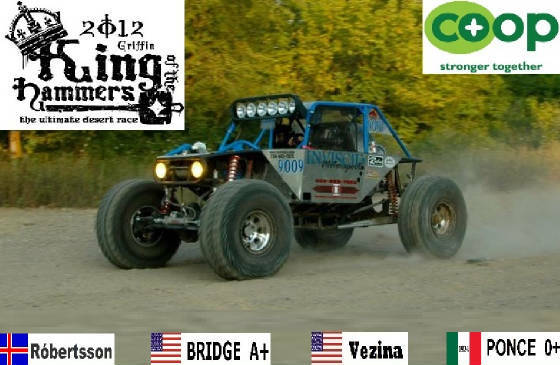 2009 ° Placed 3rd in modified class at the MOROC ROCK RACE held in Spring, Texas. Was interviewed for being the first Mexican national to ever compete in this race. 2009 ° King of the Hammers LCQ competitor. This race was filmed for a movie entitled King of the Hammers First Crusade. First Mexican to ever participate at this endurance LCQ race. 2010 ° King of the Hammers LCQ competitor. Pinned TV mounted a camera in our rig to cover our action for the movie “Anarchy”. Second year in a row to be the only Mexican National racing at this event. 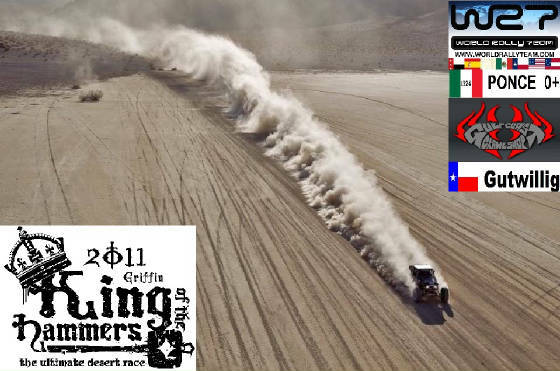 2011 ° First Mexican American to ever compete and finish the King of the Hammers, placed 37th out of 100 teams, representing Mexico and the city of Laredo, Texas USA. Started and finished on 37th spot. 2007 ° First Mexican to co drive for Nordic Trial Champion Tore Hansen in the Nordic Trial Cup held in Brokelandsheia, NORWAY. We placed 4th in our class. Interviewed and featured on Off Roads Magazine of Iceland. 2008 ° First Mexican to co drive with Tore Hansen in the EUROTRIAL® Cup in Brokelandsheia, NORWAY. Placed 4th in our class. 11 European Countries participated at this off road skandinavian event. 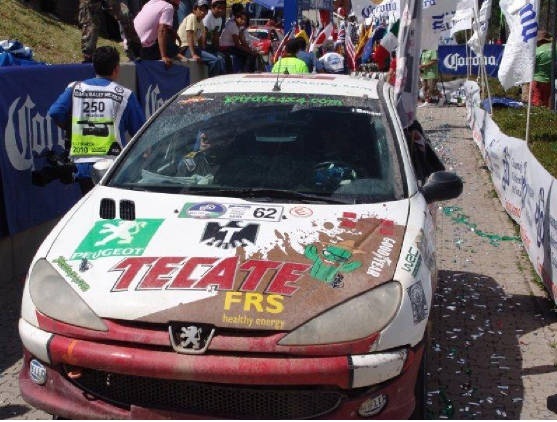 2008 ° Placed 9th in Class A6 and 2nd in the Peugeot 206 Class and was also awarded the Bernardo Audibert Cup for Rookie driver of the FIA WRC® Mexico. We had no prior experience or special training, and raced in a rental car with street tires. First Mexican American to ever finish a WRC event. First Minority Racer to finish a WRC. 2010 ° Placed 2nd in Class A6 at the FIA WRC® Mexico and moved up to the 144th spot on the WRC WORLD RANKING CHART in 2010. This was our second official rally in our own car, raced with used tires. 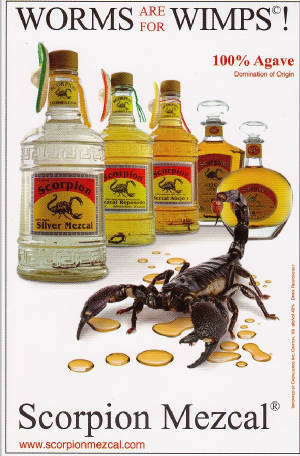 2001-2002 ° Founded and organized the Annual Booze Cruz/Ultimate Rescue fundraiser for the children of Guanajuato, GTO Mexico. 2002 & 2003 ° Founded and organized the first free Jeep Jamboree Bash in Guanajuato, GTO Mexico. There were 2 Jamborees in total. 2005 ° Won the Longest Distance Driving Award at the ROCKTOBER run in Rough Canyon, Texas USA. 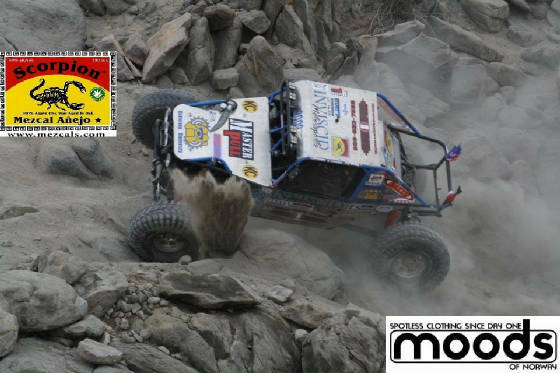 2006 ° Organized and directed UROC® Mexico, the first USA sanctioned professional rock crawling event in Mexico. Managed to host guest stars from the USA. Introduced the motor sport of professional rock crawling on natural courses into Mexico. Discovered and Founded PLANET GTOROCKS®, the first offroad park in Mexico to be featured on various international media. Featured on Crawl Magazine. 2011 ° Contacted by LatinationTV for an interview and cover story. LatinationTV airs on CBS and NBC. 2007 ° Organized the first MXRRA® Rock Racing Rally and introduced the motor sport of professional rock racing into Mexico. 2008 ° Organized another MXRRA® Rock Racing Rally in Mexico. Managed to bring teams from Norway and the USA. 2009 ° Appeared in a cover story in Wicked Magazine and the Laredo Morning Times. 2009 ° Organized and hosted the final MXRRA Rock Racing Rally. Managed to get teams to race from Venezuela, Costa Rica, USA, France and Mexico. 2010 ° First Mexican American to appear on the European RALLY BUZZ online magazine. 2010 ° First Latino national to be interviewed and featured on World Rally Sport Magazine. 2010 ° Ponce founded CHARITY RACER.ORG, a non profit organization to help promote different causes such as helping the "Cause:Reduce Emigration - Promote Literacy" by importing bilingual books for the kids of the Summerland - Tierra de Verano in Cajones, Guanajuato, México. 2011 ° Ponce partnered up comedian George Lopez to help promote the Lopez Foundation. 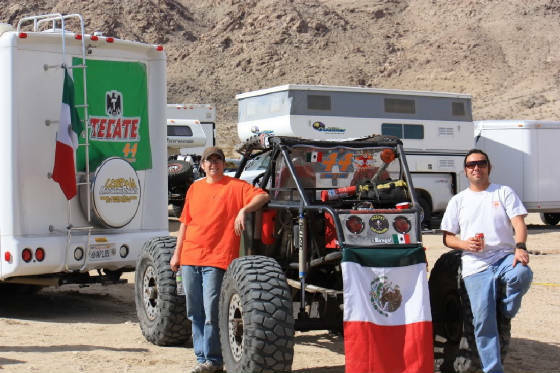 2011 ° Ponce was interviewed by Off Road Mexico News for being the first Mexican national to compete and finish the King of the Hammers and 2 WRC events. 2011 ° Discovered and contacted by a UK TV firm to cast for a new extreme offroad car show on Discovery Channel International. 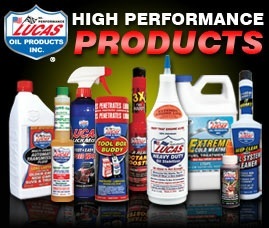 2012 ° Coordinated the importation and transportation of 3 USA Rally America Team's vehicles for WRC Mexico 2012. 2012 ° Ponce gets contacted by Discovery Channel International to be a co-presenter in a new TV show. 2012 ° First Mexican American to ever compete and finish the GORM 24hr race, the toughest endurance rallye race in Germany. Raced with Michael Podlogar, Dennis Meyer, and Jutta Kleinschmidt (the Paris Dakar Legend) of Team WERK1. 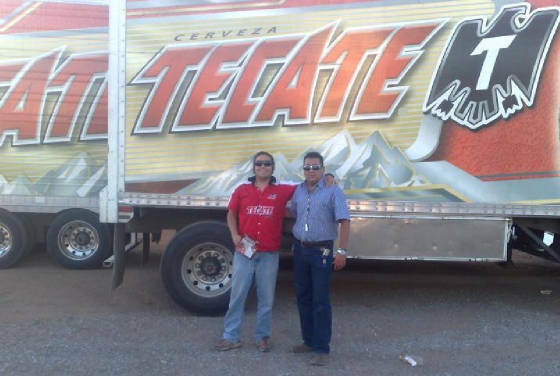 2012 ° Participated in the Maya Rally by helping guide 4 international teams from Laredo, Texas to Guanajuato, GTO Central Mexico. Organized the logistics for the shakedown and rock crawling trail run for the end of the world Maya Rally. 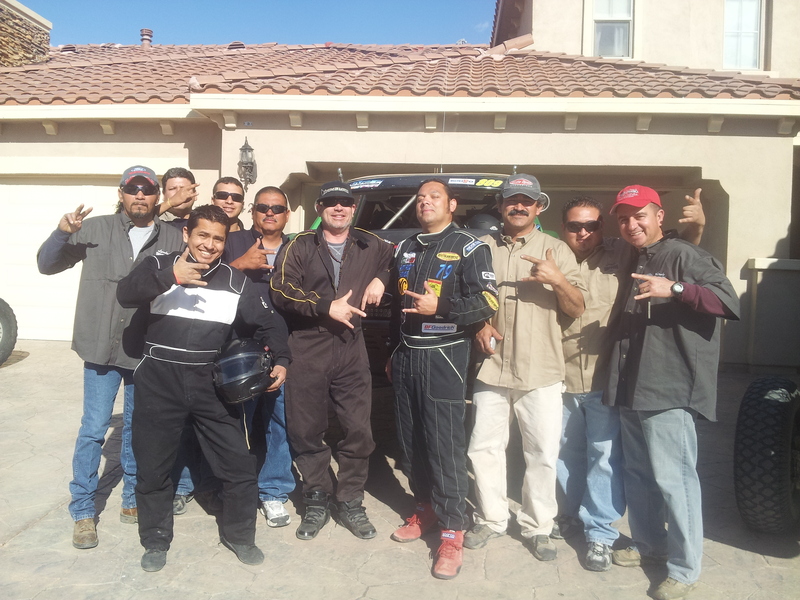 2013 ° Pre Ran the Score Baja 250 & 500 successfully. 2014 ° Started racing the Ultimate Rally that runs thru the USA, Mexico, Norway, Germany, Poland, and Portugal. 2014 ° Contracted to play the role of José de Jesús alias la Mano Negra, Leader of the Mexican Cartel CF6 in the new Gatwick Gangster Film under production in the UK. 2012 ° Interviewed by a CNN TV producer to appear in an upcoming TV Series about Minorities in Motorsports that debuts on Speed Channel. 2012 ° Participated in a Sizzle Reel for an upcoming outdoors show on National Geographic Channel. The Real Lillyhammer av Norge! 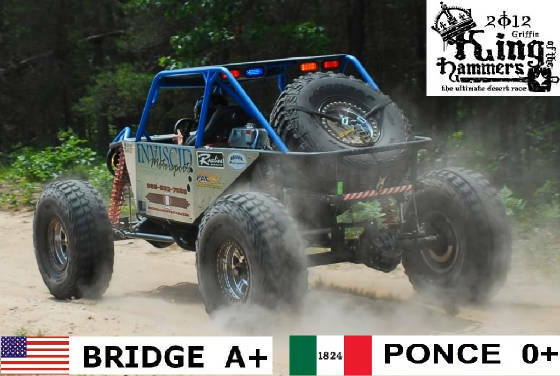 Bridge y Ponce alias "Pancho & Lefty"
2007: Wolverine Truck show voted "Most capable rig" by the audience for my personally designed and built 1981 Jeep CJ8 Scrambler. 2008: Co-pilot for team Wendler at Turtle Ridge Rock Challenge in Michigan. 2009: Driver and lead designer for my personal professional self sponsored team at the Turtle Ridge Rock Challenge in Michigan. 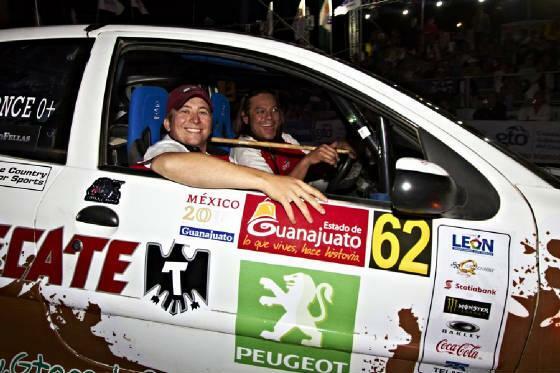 2010: Co Driver for our team at the WRC MEXICO 2010. 2nd in Class A6. Featured in the team articles on the european RALLY BUZZ and the USA WRS Mag. 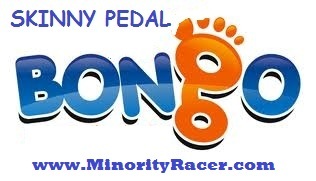 Bongo, Bongo, Bongo! Que Nadien te quite tu Bongo!